Thanks Becca! I’m inspired by your blog too! This really sounds good Kim. I have some Gruyere (I love this cheese) already and just need some fresh mushrooms for this. We are headed to Whidbey Island for the 4th and will definately make this for the crowd. Have a great 4th holiday. 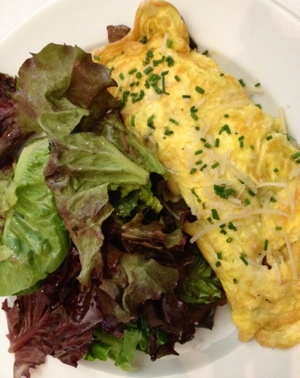 That omelette looks fantastic – of course I’d expect nothing less from K&L. 🙂 My husband and I fall back on omelettes for many meals – breakfast, lunch, or dinner. As you said, so versatile!